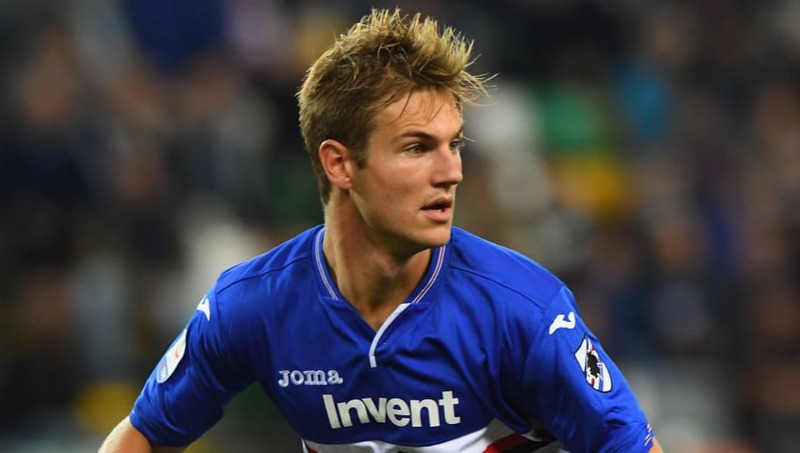 ​Tottenham Hotspur have reportedly agreed a fee with Serie A side Sampdoria to sign 22-year-old centre-back Joachim Andersen, but they face late pressure to finalise the deal from both Manchester United and AC Milan. Andersen has been one of the league's breakout stars this season, despite initially struggling to adapt to life in Italy. Plenty of top European sides have been linked with a move for the Dane, one of which is Tottenham, who appear close to finalising a deal for Andersen. News of ​Tottenham's agreement comes from Tuttosport (via Sport Witness), who state that Sampdoria official Antonio Romei flew to London on Tuesday to discuss a deal for the €25m-rated defender. However, according to ​Calciomercato, ​AC Milan have now joined the race for Andersen's signature, and could seek to open negotiations as soon as possible in an attempt to halt Tottenhams progress. Milan want somebody to partner 24-year-old Alessio Romagnoli in the heart of their defence, and they see Andersen as the ideal candidate, as the two could line up alongside each other for the foreseeable future. ​Inter are also said to be serious contenders for Andersen's signature, whilst the likes of ​United, ​Juventus and Paris Saint-Germain are thought to be plotting a summer move for the 22-year-old. Andersen has made 28 appearances for Sampdoria this season, establishing himself as one of the side's most important players. The Blucerchiati currently sit ninth in the ​Serie A table, and many credit this position to the towering Dane's emergence as a future star. Tottenham have long been keen on Andersen as they seek to bolster their defence for the foreseeable future. Both 30-year-old ​Toby Alderweireld and 31-year-old Jan Vertonghen have just 18 months remaining on their contracts at the club, and Mauricio Pochettino appears to be preparing for the future. Alderweireld has been the subject of serious interest from the likes of United, ​Chelsea and ​Barcelona in the past, and now has a £26m release clause in his contract which became active after Tottenham automatically extended the Belgian's deal in December. As a result, they could be powerless to prevent his exit, which could prompt a summer deal for Andersen.